Lowland Nepal - Kathmandu, Chitwan & Koshi - Nepal No. 1 Travel Partner with Best Tourism Packages. Lowland Nepal - Kathmandu, Chitwan & Koshi - Nepal No. 1 Travel Partner with Best Tourism Packages. Day 1. Arrive Kathmandu Airport, meeting and transfer to Hotel. Day 2. 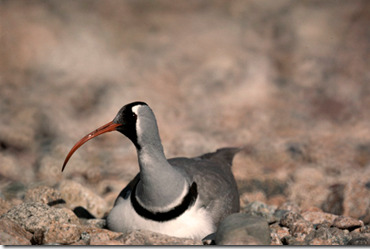 Full day birding around PhulChowki Hill. Day 3. Post breakfast drive to Chitwan National Park. Day 4. Chitwan National Park. Day 5. Drive Chitwan/Koshi Tappu Wildlife Reserve. Day 6 and 7. Koshi Tappu Wildlife Reserve. Day 8. Transfer to Biratnagar Airport and fly back to Kathmandu. Day 1. Arrive Kathmandu Airport, meeting and transfer to Hotel Royal Singi – Centrally located 4 Star. Day 2. Full day birding around PhulChowki Hill - Phulchowki (2760 m) is the highest of the mountains encircling the Kathmandu Valley. This broad-leafed-sub tropical forest is the richest for birds and wildlife in the valley and remains the most convenient place to see some of the birds that are rare or local to Nepal. Phulchowki lies 18 km south east of Kathmandu above Godawari Village (1525 m). Day 3. Post breakfast drive to Chitwan National Park, 165 kms about 4.5 hrs. 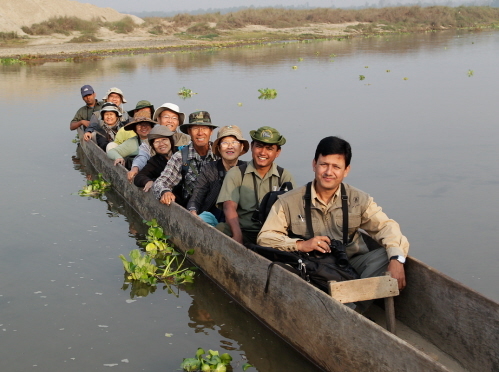 - Chitwan National Park stands today as a successful testimony of nature conservation in South Asia. This is the first national park of Nepal established in 1973 to preserve a unique ecosystem significantly valuable to the whole world. The park covering a pristine area of 932 sq. km is situated in the subtropical inner Terai lowlands of southern central part of Nepal. The park has gained much wider recognition in the world when UNESCO included this area on the list of World Heritage Site in 1984. Formerly, the Chitwan valley was well known for big game and was exclusively managed as a hunting reserve for the Rana Prime Ministers and their guests until 1950. In 1963, the area south of Rapti was demarcated as a rhinoceros sanctuary. In 1970, His late Majesty King Mahendra had approved in principle the creation of Chitwan National Park. The park consists of churia hills, ox-bow lakes, flood plains of Rapti, Reu and Narayani rivers. The Churia hill rises gradually towards the east from 150 m to over 800 m. The lower but most rugged Someshwor hills occupy most of the western portion of the park. The flood plains of Chitwan are rich alluvial. The park boundaries have been delineated by the Narayani and Rapti rivers in the north and west, and the Reu river and Someshwor hills in the south and south-west. 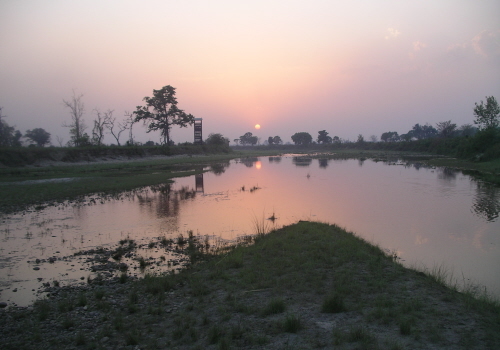 It shares its eastern border with Parsa Wildlife Reserve. Overnight at Tiger Land or Similar. 8 Day tour price is: 1 pax $4075. 2 pax US$2420 per person. 4 pax US$2215 per person. 5 - 7 pax $1905 Single room supplement: US$415 Due to currency fluctuations and fuel cost we reserve the right to adjust any pricing prior to departure. Convert your tour cost into your currency of choice. Cost Includes: All necessary transfers by private vehicle, One full day watching in Phulchowki with Sr. Bird Guide and entrances, Pack Lunch & 4WD vehicle, 3 nights accommodation in Kathmandu with Hotel Royal Singi or similar on Bed and Breakfast Basis, 2 nights accommodation in Chitwan with Tiger Land or Similar on full board with all Jungle activities with NP Fees, 3 nights accommodation in Koshi Tappu with Koshi Tappu Wildlife Camp or similar on Full Board basis with bird watching, Bird guide through out the tour, One Dinner with both way transfers, Flight Biratnagar/Kathmandu with airport tax. Excludes: Personal expenses like bar bills, bottled water, telephone calls, laundry, tips etc., Any extra expenses due to natural causes.